I make engraved glass sculptures, large-scale murals, constructed photographs and works on paper that explore conditions of origination, fragmentation and aftermath on cosmological scales. I’m interested in evolutionary ambiguities, from the beginnings of space-time, to the future destinies of all things. Much of my work comes down to an interest in the nature of dust and debris. I draw imagined landscapes, timelines of entropy, maps of cosmological enigmas, invisible transformations and visions of long-vanished cycles of catastrophe, in an effort to trace the passage of dust–a diaphanous, celestial material and ghostly substance that, while ubiquitous and ostensibly insignificant, connects all things, and contains in it all the memories of our lives, histories, and our universe–inextricably intertwined. I’m drawn to these lost histories, concealed origins and imperceptible connections, and aim to render a continuously evaporating world; one where the past, present, and future are imperceptibly entangled. If examined closely enough, I believe the dust could tell the story of everything that ever existed–ultimately expressing an endless cycle of creation and obliteration at once, suggesting the what-was, the what-may-have-been, and the what-is inevitably yet-to-come. How do you plan for a series? What is your creative process? In my most recent work, I’ve tried to create a multifaceted view of our relationship to cosmological phenomena, and the individual pieces I make are meant to be experienced collectively, as part of a larger, sequential narrative across multiple media that vacillate between linearity, three-dimensionality, environmental drawings, and sound. 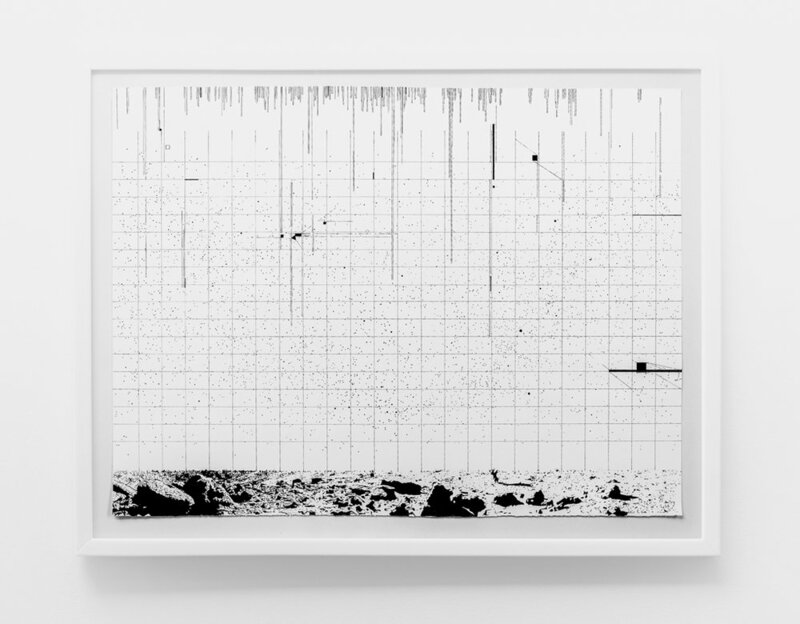 To create this work, I draw from research conducted across areas of astronomy, astro-chemistry, physics and geology, looking to astronomical charts, deep-field maps, models and structural diagrams of the universe, to produce referential imagery with precise locations and accurate distances of celestial objects, within abstracted frameworks. I utilize and distill a range of visual material including data obtained from landers and orbiters, topographic information, and spectral/thermal data from spacecraft-based instruments. I map out the pieces according to a chronological plan, numbering each piece according to its placement in the evolution of our universe, from inflation and big bang, to the here-and-now. Ideally seen together, it allows viewers to follow a thread of understanding that spans the origins, existence, and destiny of all things, with each piece occupying a distinct place within the vast framework touched on by various fields of study. Eventually, with enough drawings, I hope each image will deconstruct the one before it: from the complexity of semi-recognizable terrestrial remains, to the fragments and dust that comprise them–each rock and speck symbolically containing the signature of the great events that shaped it–to the micro-particles and heavy elements that originated from the first exploded stars. Recently, I’ve tried to incorporate sound into my work, which echoes in the background of the exhibition space and provides eerie, ambient reverberations from a space probe’s journey from Earth out towards interstellar space. The soundscape is the interaction of electromagnetic particles from the solar wind, ionosphere, and various planets’ magnetospheres. It provides another way of mapping the journey through our solar system and a way to connect the timeline of the artwork to the movement backwards through space-time. Ernesto Caivano, who’s work I fell in love with many years ago, is known for his epic, fantastical, narrative-based ink drawings. The fist pieces I saw from him were from a series of work that collectively incorporated classical myth, medieval folklore, romantic poetry, fantasy, and science fiction to create these meandering, sweeping fairytales that centered on star-crossed lovers over the course of 1,000 years. Truly beautiful images. I like Marco Maggi for his incredible micro drawings and delicate etchings that are made on common materials such as office paper, aluminum foil, and everyday commercial goods, as well as his room-sized installations. They are always surprising and gorgeously executed. For me, he completely expanded the meaning of what a drawing could be and how it could be read. 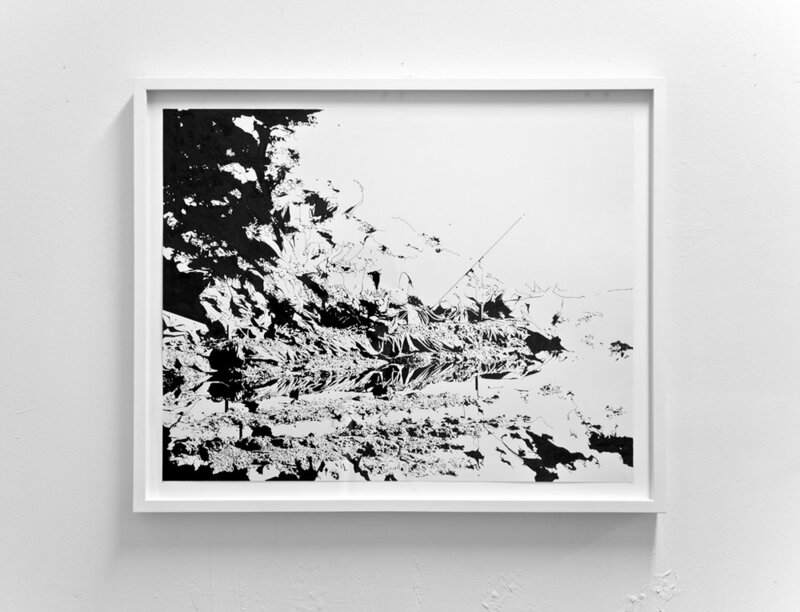 James Nizam sunlight sculptures are some of my favorites. Difficult to classify in any particular medium, he is known for photographs exploring connections to sculpture and architecture, as well as light, space and the ephemeral. In one series of works, he made rooms into camera obscuras that displayed the outside landscapes indoors, and photographed the results. In another, he performed a series of architectural slicings and piercings through houses in order to channel light to transform common walls and rooms into into containers of radiant ideal forms. And in his more recent work, he used arrays of mirrors to make sunlight into strikingly geometric indoor sculptures, later displayed in the form of black-and-white prints. Berndnaut Smilde for the lovely simplicity in his cloud works. Smilde chooses surreal spaces, such as empty churches or galleries, as his setting then carefully regulates the temperature and humidity of each, ensuring that conditions are perfect. He sprays a short burst from a fog machine to create a singular, cottony cloud that is suspended in the middle of the room for just an instant before it collapses. They dissipate quickly so the clouds exist mainly in photographs. I believe in the virtues of not knowing, of getting lost, in meandering, and in the transcendent magical quality of atmospheric debris. I make art as an investigative journey and approach it as a way of examining and observing, revealing, as a way to unravel enigmas, and give form to the obscure, the inconspicuous, the yet-unknown and the yet-to-be explained. Your images are very graphic. There’s a huge mix of mediums in your work. How do you create your artwork? Tell us more about the physical process. I probably utilize somewhat antiquated drawing procedures as my primary means for developing and fabricating work, but I consider each work I create to be drawing-based, despite the technical differences in applying lines and markings, or the materials used to convey them. 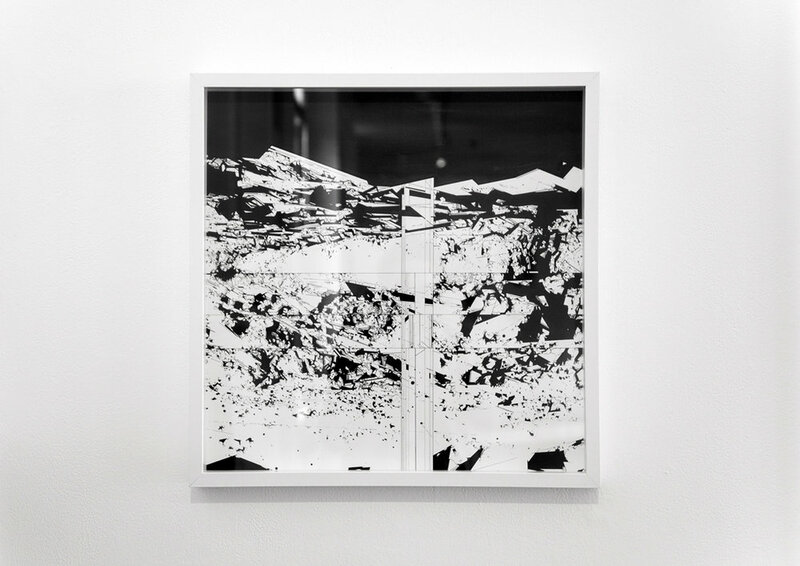 These pieces, specifically the ink drawings, sculptural drawings on glass and acrylic, and the large-format wall-drawings, have strong connections to anachronistic rendering techniques, and their development processes tend to mirror the historical origins of their subject matter. Many of the ink drawings are created using traditional inking methods and tools (calligraphy pens, steel and ink brushes, and hand-mixed lampblack inks), which are applied to handmade papers. Inspired by early astronomical drawings–atlases of the heavens, catalogues of photometric spectrum lines, celestial maps, and cosmic cartographies–I have aimed to combine a level of scrupulous fidelity in rendering their details, while preserving the delicate outlines particular to the objects depicted; in this respect traditional ink drawing provides irreplaceable advantages of interpretation, imagination and abstraction. Similarly, sculptural pieces are created with the simplest of engraving methods. By applying fine metal needles and simple hand-carving techniques directly to glass and other transparent substrates, I apply imagery without stippling, softening burs, rubbers, or any other tools. Instead, every mark is made by means of direct line-work, using only needles. The choice to use glass for these pieces was inspired by early glass-plate telescopic photography- a distant piece of astronomical archaeology used in the 19th century to provide an objective way to record the skies. In many ways, the engravings reference the fragility of these glass sheets–their transparency and opacity, reflectivity, optical effects, and their ability to scatter light make it an ideal material for depicting illusory landscapes and depicting the chance origins of our cosmology. 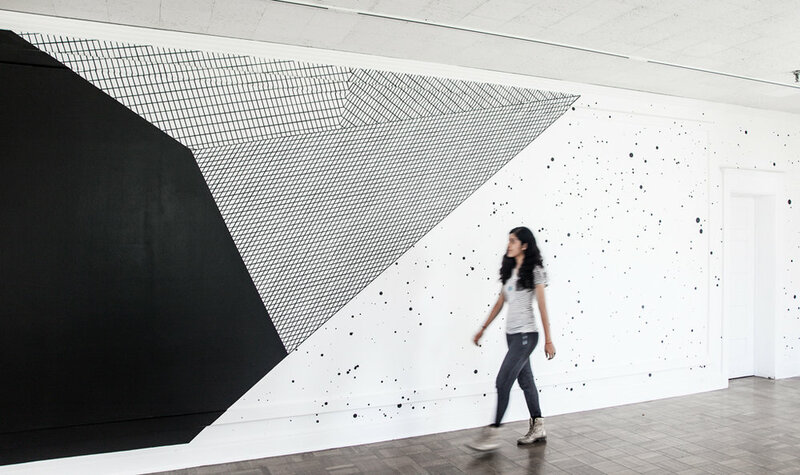 Providing a dramatic shift in scale and a more immersive environment for viewers, the wall drawings focus on the ephemerality of content, and are often intentionally placed in spaces that are transitory themselves, where their existence is known to be short-lived. Often referencing the still-mysterious, invisible forces that will ultimately define our futures, they feature accurate star-charts in their combination of visible dots, each applied by hand, using traditional methods that, despite their time-intensive processes, allow for unmediated mind-to-material effects. Any words for aspiring artists wanting to create graphic installation work using variations on different mediums? Experiment. Work as much as possible and fail as much as possible–failure takes you to fantastic new places you may not expect. You shouldn’t feel locked in by your medium. Take some time to explore the different methods you could use to convey the ideas you’re trying to communicate. Realize that a story is just information delivered across a platform and that you, the storyteller can choose to craft that information to fit the platform of your choice based on the medium you choose, or change the way your story is interpreted entirely by changing the medium.